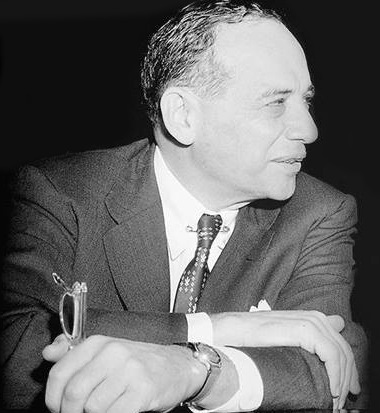 Benjamin Graham was a scholar and professional investor who mentored some of the world's most renowned investors; including Warren Buffett, Bill Ruane, Irving Kahn and Walter Schloss. Evaluate all 72,000+ stocks in the US, UK, Europe, Canada, NZ and Australia; using Graham's complete 17-rule investment framework, adjusted only for inflation and bond yields. 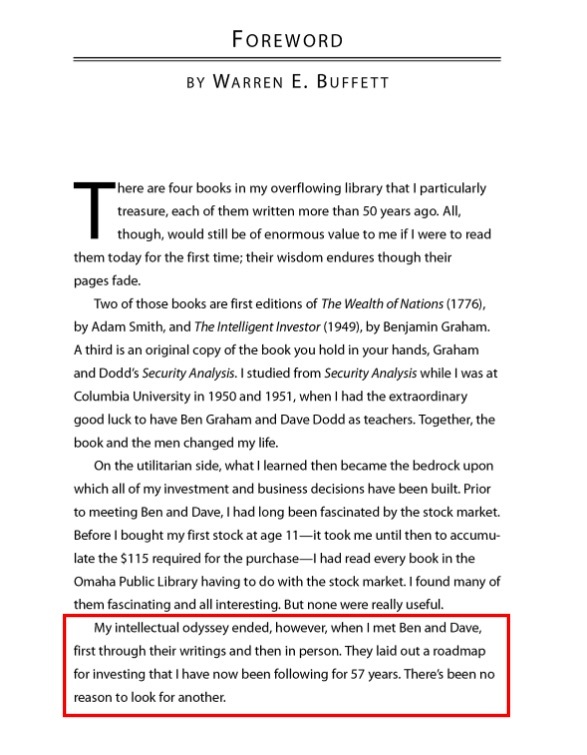 "A roadmap for investing that I have now been following for 57 years. There’s been no reason to look for another." "The principles haven't changed at all... 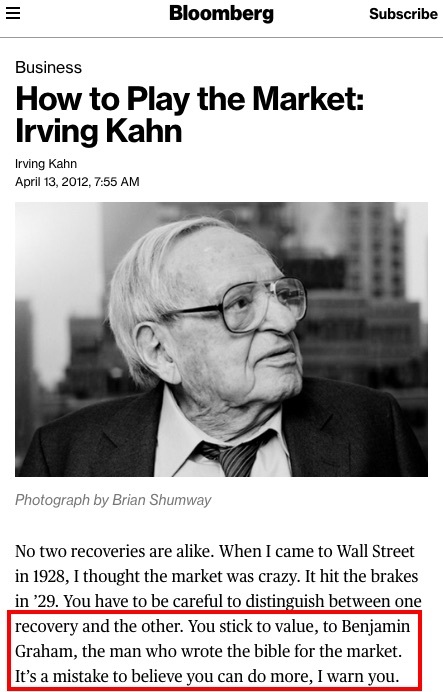 It's exactly what Ben Graham wrote in 1949." "The real secret to investing is that there is no secret to investing. 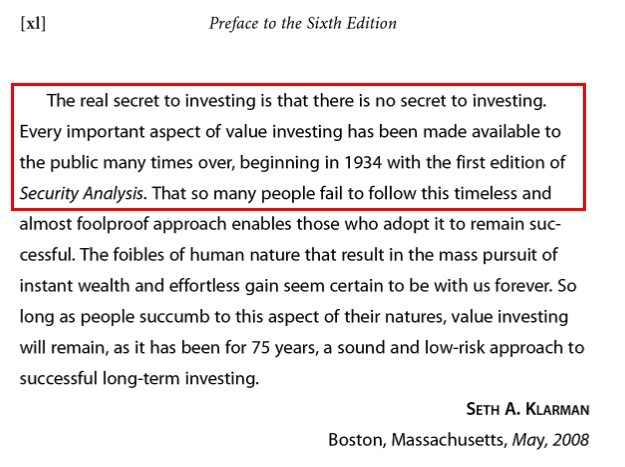 Every important aspect of value investing has been made available to the public many times over, beginning in 1934 with the first edition of Security Analysis." "You stick to value, to Benjamin Graham, the man who wrote the bible for the market. It’s a mistake to believe you can do more." Focus on — and specialization in — the Graham framework. Dedicated screeners ideal for complex statistical analyses. "[The quantitative or statistical approach] emphasizes the measurable relationships between selling price and earnings, assets, dividends, and so forth... we were always committed to the quantitative approach." Benjamin Graham, Chapter 14: Stock Selection for the Defensive Investor, The Intelligent Investor . "Operations for profit should be based not on optimism but on arithmetic." Benjamin Graham, Chapter 20: “Margin of Safety” as the Central Concept of Investment, The Intelligent Investor . "To distill the secret of sound investment into three words, we venture the motto - Margin of Safety." "An investment operation is one which, upon thorough analysis promises safety of principal and an adequate return." Benjamin Graham, Chapter 1: Investment versus Speculation, The Intelligent Investor . "The rate of return sought should be dependent, rather, on the amount of intelligent effort the investor is willing and able to bring to bear on his task." Benjamin Graham, Chapter 4: General Portfolio Policy, The Intelligent Investor . The most advanced Value Investing system available today. List scrolls horizontally on narrow screens. Graham № / NCAV filters Free! Detailed stock analyses Free! Free! Just launch the screener, select a Graham Grade, and generate a list of stocks.